What are the two primary functions of medical and dental lobby signs for Chicago medical offices? The most important role is branding and successfully building name recognition. The secondary purpose is much more patient oriented. The patient who is seeking out your services must recognize that your facility – or office, medical provider or branch of medicine – is a thought leader in the business. A well-designed, manufactured and expertly installed lobby marker can fulfill both functions. You have a wide variety of options open to you. Acrylic lettering. One of the most cost effective markers can be compiled of individual acrylic letters. The material accommodates any font and size, which makes them supremely versatile and can me matched to your letterhead and to the building display of the company name and logo. Choose from depths as thin as 1/8 inches and as thick as ½ inches. The color palette is immense. Display options include the use of adhesives on the backs of the letters for a flat display or the addition of mounts to create an offset look. A high-gloss look bespeaks refinement with a hip edge. This is a good option for a trendy office. Acrylic panels. For a more substantial look, consider the use of acrylic panels. Using panels greatly enhances the artistic display options that these lobby markers provide. We can use clear acrylic bases and apply digitally printed letters and logos to the top. For a dimensional display, choose two layers of acrylics. One will display your logo while the other one displays your medical or dental office’s name. 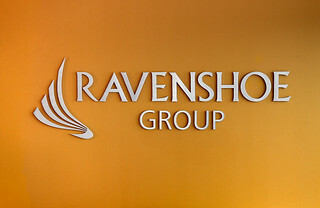 By using offsets, you further enhance the modern appearance of these signs. When you want to identify your office as one that is on the cutting edge of medical technology or patient care, this is a good marker option for you. Metal laminate lettering. 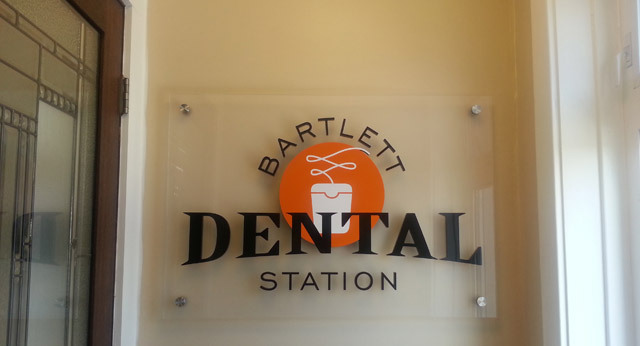 3D lobby signs for Chicago area medical and dental offices are currently becoming more popular. The 3D effect is breathtaking. The brushed, satin or polished appearance of the metal laminate adds sophistication to the display. Since we use a laminate that we can apply to PVC or foam, you save money by not having to pay for letters that are fully crafted from metals. Offices that want to highlight the longevity of the practice like the timeless quality that metal almost subconsciously communicates. When paired with the avant-garde look of a 3D image, the lobby sign inspires the understanding that this is the practice of medical professionals who have been in business for a long time – in part because of their recognition of modern techniques. Foam letters. You do not have to sacrifice a professional appearance to save money. If you are just starting out, you can save yourself quite a bit of money by making your first lobby marker one that is crafted from dense foam. We can dress up the look of the material by adding acrylic fronts. The depth of the lettering makes these attractive markers for all settings. If the wide variety of choices is confusing to you, contact the friendly signage professionals at Mark Your Space for assistance on medical and dental lobby signs. We'll gladly visit your office, learn more about the vision you have for your busy practice and match your office’s personality to a suitable signage option.